WINDOWS TO THE FUTURE. The floor-to-(almost)-ceiling windows in the main art gallery of the Pablo Center at the Confluence overlook the Chippewa River. 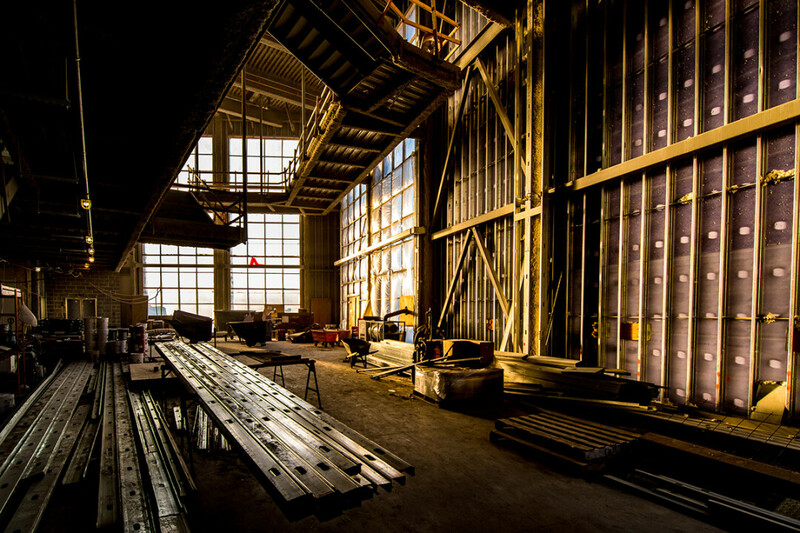 The gallery is just one of the many airy spaces to be found within the new art center, which is slated to open Sept. 22. Building, furnishing, and opening Eau Claire’s new downtown arts hub – the Pablo Center at the Confluence – will cost nearly $60 million, according to a budget update released Thursday. The $59.89 million price tag includes $45 million in construction costs for the Pablo Center, which is slated to open Sept. 22. 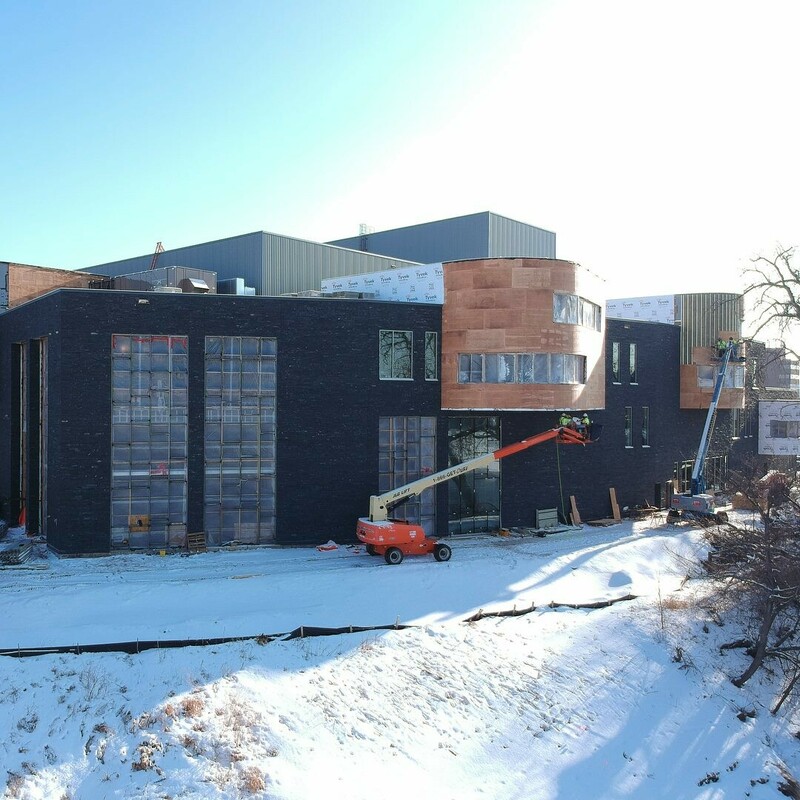 The Pablo Center is currently under construction along Graham Avenue in downtown Eau Claire, overlooking the confluence of the Eau Claire and Chippewa rivers. The facility’s budget already included $24 million in local philanthropy, $15 million from the state, $5 million from the city, $3.5 million from the county, and $3.5 million in new market tax credits. No new tax dollars are being requested, the budget update says. The $45 million construction figure was widely cited as the arts center’s cost in recent years. However, the new budget includes an additional $6.1 million for design and development, $926,000 for “pre-opening expenses” (such as software, IT systems, and staff costs), and $7.9 million for furnishings. 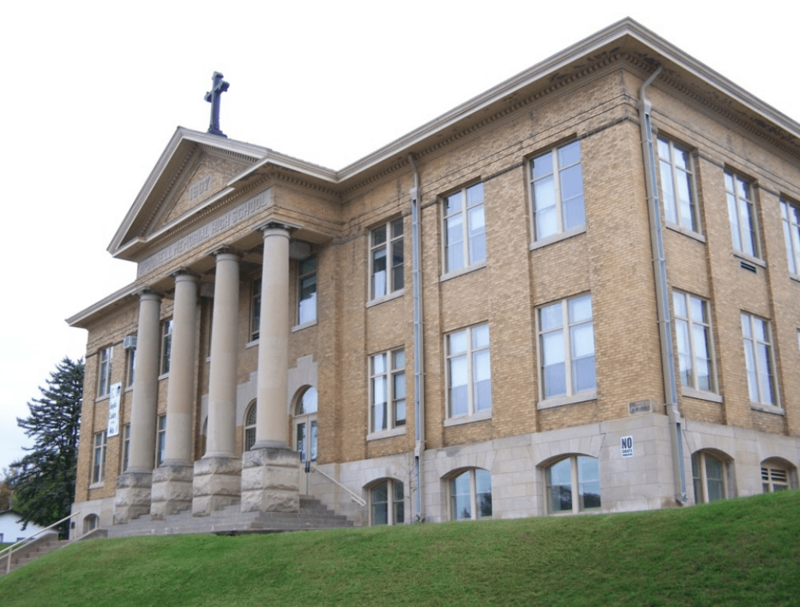 The original budget did not include funding for audio/visual technology in numerous parts of the building, including rehearsal rooms, classrooms, the recording studio, and lab spaces. “Budgeting has been a very fluid process, driven not just by the construction process for an arts center, but also responding to the unique and transformational opportunities associated with what a center of this magnitude can offer to the region in the form of community benefits, workforce development, and innovation,” said a statement released with the budget update. Read more about budget update, including an interview with Pablo Center Executive Director Jason Jon Anderson, in the next issue of Volume One. OXBEAUX 2017 – part of last year's first-ever Prex Claires events. Today (April 4) Blugold Radio released plans for 2018's 'Prex Claires' festivities, set for Thursday, July 5, revving things up for the Eaux Claires Music and Arts Festival on July 6-7. 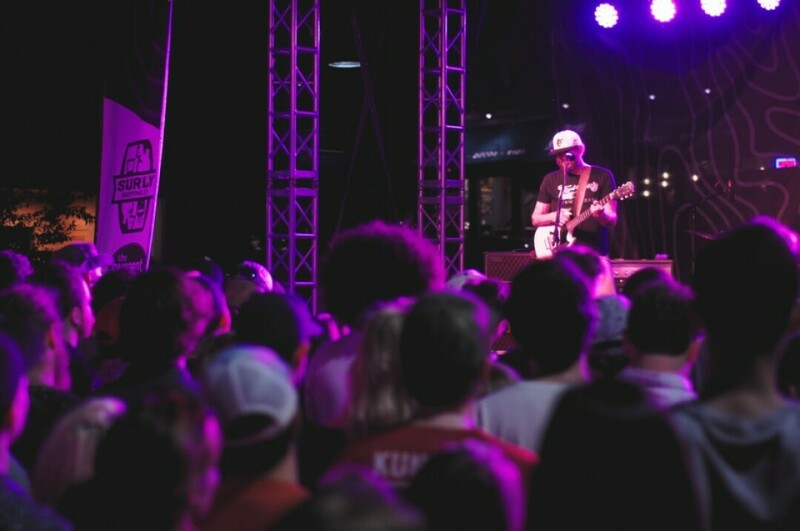 Last year saw the first installment of Prex Claires, inviting music lovers – both local and from out-of-town – into downtown Eau Claire. In tandem with Prex Claires, the OXBEAUX street party will return to the asphalt in front of The Oxbow Hotel on the same night. Watch for that lineup to be announced soon along with ticket sales. See photos from last year. Local music will fill an array of venues across Eau Claire and even the streets during Prex Claires, the second annual celebration of the Chippewa Valley’s diverse music scene that kicks off Eaux Claires Music and Arts Festival. Blugold Radio is proud to announce the second annual celebration will be on Thursday, July 5, immediately preceding the Eaux Claires Music and Arts Festival July 6-7. This is made possible through a generous grant from Visit Eau Claire. The 2017 Prex Claires received local, regional and national attention from outlets like USA Today and Radio Milwaukee. Additionally, it won a Downtown Eau Claire, Inc. Award for "Best Event." Expanding on the success of last years event, this year's Prex Claires will be a ticketed wristband event. Patrons will have access to each of these venues for one low fee. Beyond featuring some amazing new material from Roma di Luna, this showcase embodies the connection between Eau Claire and the Twin Cities. Masonic Temple- The Sue Orfield Show featuring Them Coulee Boys and Billy Krause at Masonic Temple. An amazing night of Americana led by the hardest working musician in Eau Claire. As an added bonus this will be in the awe-inspiring Masonic temple. A rock solid lineup of rockin' Eau Claire bands. This show will give you a great idea of some of the great music happening around these parts. This freewheeling evening hosted by The Millenium's Matt Hasenmueller will be a fun spot of creativity and just might be a spot where you can see national musicians pickin' with some local folks. Clear Water Comedy is bringing their A-game to Micon Downtown Cinemas. C'mon in and get your comedy fix. Get down to some post midnight grooves. The ball room will be your home for some dance treats. Blugold Radio Station Manager Scott Morfitt said the lineup has something for everyone. Parallel events to Prex Claires include the free Sounds Like Summer performance in Phoenix Park and the Oxbeaux Concert at the Oxbow Hotel. Additionally, there will be many daytime performances that Blugold Radio will highlight as they continue to be announced. The initial 500 tickets will be available on Thursday, April 12th at 10am and will be $15. After the initial on sale ticket prices will raise to $20. Tickets will be sold online at Blugold Radio.org. 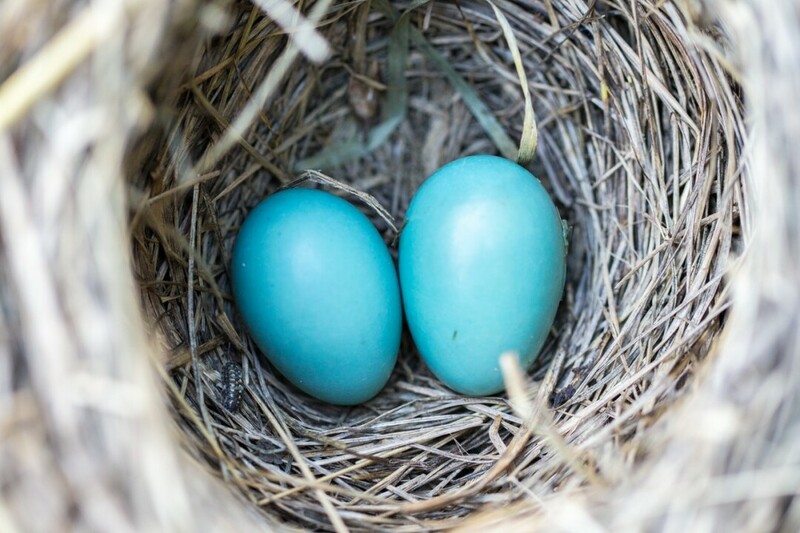 Those eggs are stuffed full of snow. Ready to celebrate winter’s end? 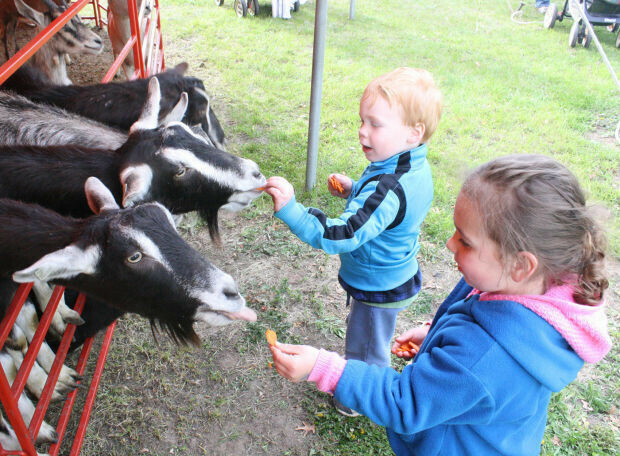 Peruse these upcoming festivals and events in the Chippewa Valley, or pick an out-of-town destination for a fun day trip. Sure, there's still plenty of snow on the ground, but that doesn't mean you can't pretend there isn't! Right? Right?? April 7 – The Chippewa Falls Senior High School will be hosting the Chi-Hi Craft Sale from 9am until 3pm. If you’re a fan of homemade crafts, this is the place for you! Go here for more information. April 7 – Follow I-94 for a while and you’ll find a small town called Amery. The Amery Hockey Arena will be home to the 15th annual show, with exhibits on remodeling, financing, new cars, and more. 9am-4pm. Concessions will be available during the event. Find out more here. April 14-15 – Watch cats compete for various awards and titles. Maybe hold them a bit. Join the fun at Expo Hall A for a daily raffle, costume contests, and cat cuteness. Check out event information here. April 21 – Travel to the home of the founder of Earth Day, Gaylord A. Nelson. Besides clean-up projects throughout the village, the Clear Lake Community Center will be joined by speakers to educate the audience on “green” topics. The free event, from 8am to 4pm, will also include a pancake breakfast and activities for kids. Visit this website to learn more. April 21-22 – Check out the Gem and Mineral Show at the Eau Claire County Expo Center. Saturday: 9am-5pm. Sunday: 10am-4pm. Enjoy mineral displays, activities for the family, a silent auction, and much more. Go here to see event details. April 27-29 – SpringFest in Chippewa Falls offers food, music, and events at the Northern Wisconsin State Fairgrounds. Enjoy a classic car show and a 5k and Fun Mile run. Go to this website to find out more. May 4-6 – Polka all weekend to Wisconsin, Minnesota, and North Dakota bands. Take a break from dancing and get yourself some food and refreshments. Polka Fest is at Palladium Ballroom, Stoddard Park. View the event here. May 3-6 – For many years, the Festival of Nations has been a wonderful place to experience cultures from all around the world. Get tickets and see their hours of operation on the Festival of Nations website. May 5 – Join the West St. Paul community in celebrating Cinco de Mayo this year from 9am to 6pm. The scheduled events will include a parade, exhibits, contests, among others. Check it out here. May 6 – The 2018 MayDay Parade will feature hand-made puppets, music, and live performances. Grab a friend and head out to Minneapolis for this grand event! View details here. You’ll find Lewis E. Phillips’ name on more high-profile Chippewa Valley facilities than any other, including Eau Claire’s public library, the senior center, a drug and alcohol treatment center, a career development center, a Boy Scout camp, and more. An immigrant from Lithuania who became a major Eau Claire industrialist, Phillips established Ed Phillips & Sons in 1918 and became president of National Presto Industries in 1942. Though he died in 1978, the L.E. Phillips Foundation and other charitable foundations associated with his family have donated many millions over the years to local causes. Known best for founding the home improvement chain that bears his name – which includes more than 280 stores across 14 states – as well as for sponsoring auto racing, Menard has also opened his wallet for several major community endeavors. You’ll see his name on the Menard Center for Emergency Care at Mayo Clinic Health System in Eau Claire as well as on the Eau Claire YMCA’s soon-to-be completed Menard Family Tennis Center. Putnam was a land speculator and lumberman who made his fortune in Eau Claire in the latter half of the 19th century. After contributing to all that timber cutting, Putnam became a conservationist and donated the 230-acre Putnam Park to the City of Eau Claire in 1909. 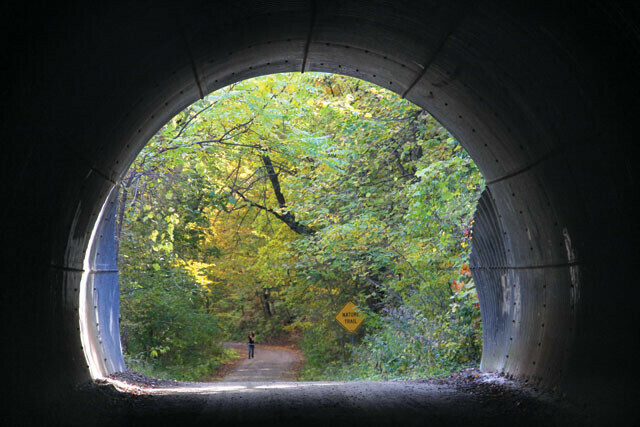 The park was transferred from the city to UW-Eau Claire in 1957, and later it became a Wisconsin State Natural Area. Today Putnam Park is a unique urban nature preserve and provides a home for hundreds of plant and animal species, research opportunities for UWEC students, and a tranquil place to take a stroll for people of all ages. Way back in 1885, William Hobbs founded a wholesale and retail supply company in Eau Claire. Among other things, the W.H. Hobbs Supply Co. operated the city’s first auto dealership and garage, the Eau Claire Mill Supply Co., and the Phoenix Manufacturing Co. Hobbs’ heirs created the Hobbs Foundation, which over a 35-year period gave out $5 million to community causes, including for the Hobbs Ice Center in Eau Claire and Hobbs Altoona Sports Center. Entrepreneur and Chippewa Falls native Dennis Heyde has been involved with numerous businesses, ranging from health care to travel to hospitality, including Fanny Hill Dinner Theatre. He also was a benefactor of the Chippewa Valley Cultural Association, which renovated the former McDonell Memorial High School in Chippewa Falls and reopened it in 2000 as the Heyde Center for the Arts. Chippewa Valley, say hello to Pablo. With a $5 million donation, a newly formed philanthropic foundation has secured naming rights for downtown Eau Claire’s new performing arts center: The Pablo Center at the Confluence will be the official name of the $60.5 million facility, which is scheduled to open in September. The investment by the Pablo Foundation, a philanthropic arm of Pablo Properties, was announced Feb. 16 at a media event in Eau Claire. 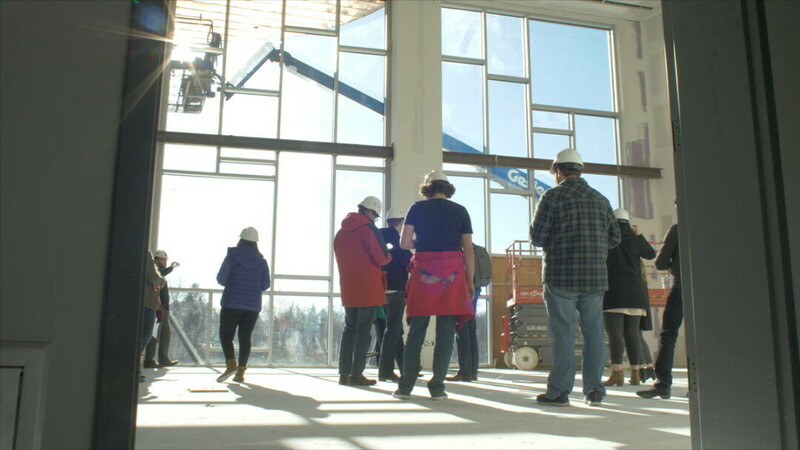 “This arts center being built is a catalyst for everything that’s going on in downtown Eau Claire,” said Zach Halmstad, one of the founding board members of the Pablo Foundation. That includes the formation of Pablo Properties – which, among others things, built the Jamf office building next to Phoenix Park and was involved in remodeling and reopening two downtown hotels. 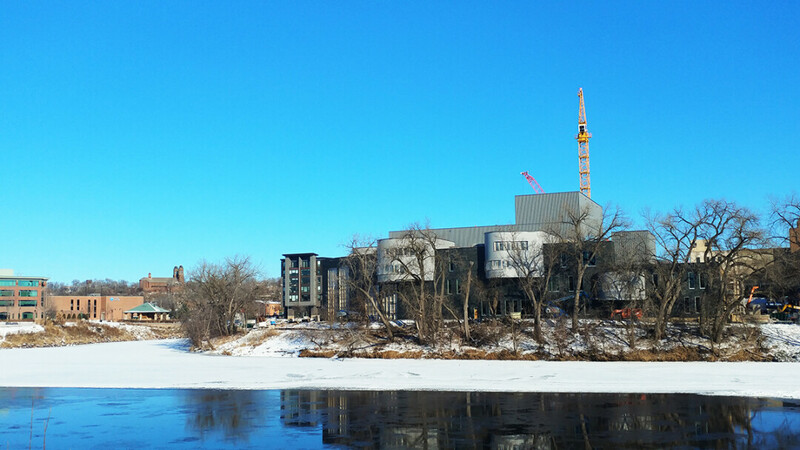 The joint community-university effort to build a performing arts center overlooking the Eau Claire and Chippewa rivers was dubbed the Confluence Project when it was announced in 2012, and the building that is now rising has generally been called the Confluence Arts Center. However, naming rights were available to a $5 million donor, said Jason Jon Anderson, the center’s acting executive director. The project is quickly moving toward another major announcement: As early as Feb. 22, the Confluence Council – the body that will operate the center – expects to announce the hiring of an executive director for the Pablo Center, said Brady Foust, a member of the council’s board of directors. Anderson has filled the role on an interim basis since October, when the originally hired executive director, Kevin Miller, resigned. Pablo Properties and the Pablo Foundation were created by Halmstad, Julia Johnson, and Jason Wudi, all of whom are affiliated with Jamf, the successful Eau Claire-born software firm. Halmstad, Jamf’s co-founder, said the Pablo Foundation will focus its philanthropic efforts on housing, health, education, and the arts in the Chippewa Valley. Donating $5 million to the Confluence is its first major step toward that vision of community improvement. “The overall goal is creating a healthy and sustainable community – to help close opportunity gaps and help individuals be successful,” Johnson said. The Pablo Properties’ donation – coupled with previous donations by the trio and their affiliated businesses – makes them the largest single contributor toward the project other than the state of Wisconsin, which budgeted $15 million. 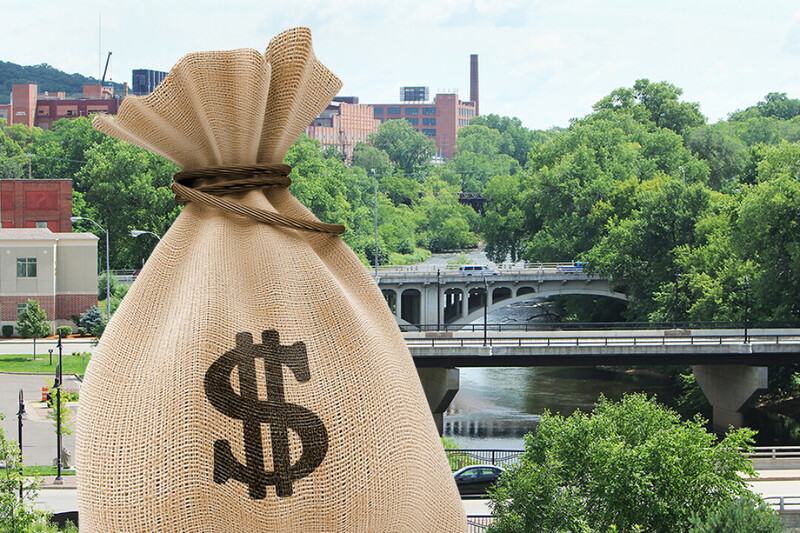 Other funding comes from the city and county of Eau Claire, new market tax credits, and private philanthropy. The Confluence Project itself, launched in 2012, drew together UW-Eau Claire, community arts groups, local governments, the business community, and individual donors. “We’re proud to have our name as part of (the arts center), but really it’s the Confluence Project that made it possible,” she added. Jerry Jacobson, a member of the board of Eau Claire Confluence Arts Inc., the nonprofit that owns the building, said he was pleased that “Confluence” name will remain part of the facility’s moniker. He said he hopes that inspires other businesses and entities located where the rivers meet to refer to their locations as “at the Confluence,” too. So who’s Pablo? Halmstad, who was a music major at UW-Eau Claire before he started his software firm, said the property company was named after his favorite record label. Starting in the 1970s, Pablo Records put out albums by jazz greats such as Ella Fitzgerald, Count Basie, Dizzy Gillespie, and Sarah Vaughan – a heritage that fits well with Eau Claire’s status as a jazz hub. And, indirectly, the name comes from that of another legendary artist: Pablo Records was named in honor of Pablo Picasso, as fitting a figure as to inspire an artistic project. Learn more about the Pablo Foundation and Pablo Properties at pablo.com. If you’re looking for ways to get out of the house in the coming weeks, take a peek at some upcoming winter celebrations listed below. 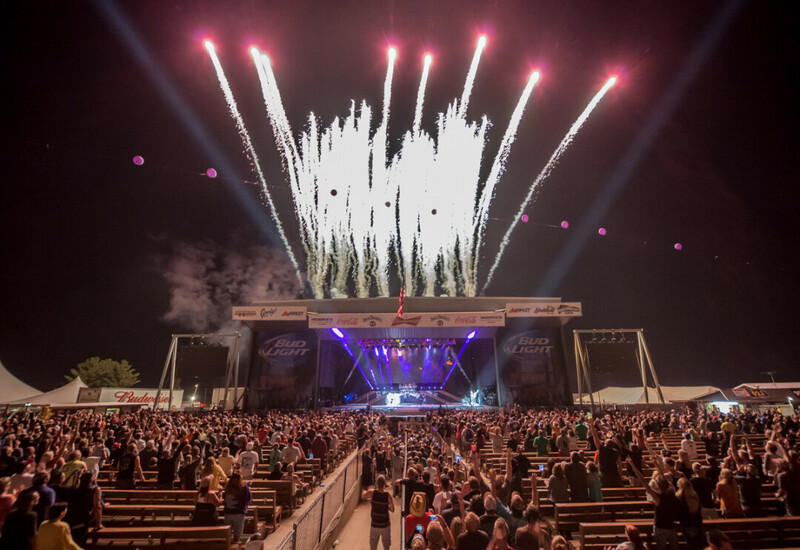 Most of these festivals are a reasonable distance from Eau Claire – perfect for a day trip with your friends or family. 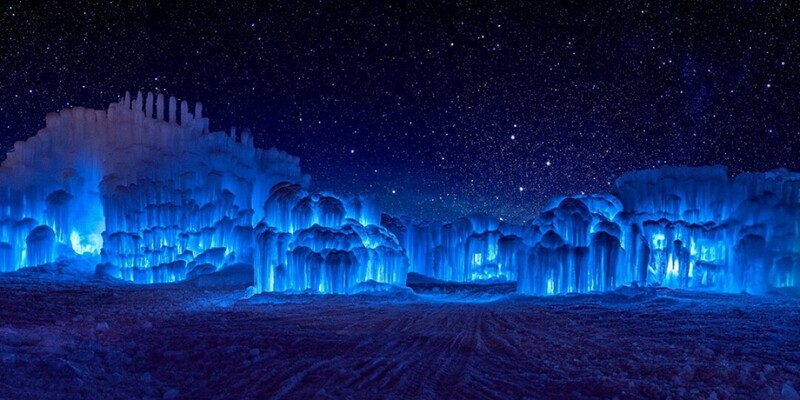 Jan. 6-Feb. 28 – The ice castles of downtown Stillwater are still open! Besides touring the ice castles, the princesses from Frozen will be there from noon to 5pm on Saturdays and Sundays. Fire shows will be performed Fridays and Saturdays 7pm until 10pm, too. For more information about their hours of operation, tickets, parking, and events, go here. Jan. 18-Feb. 18 – Enjoy community-centered activities at this 16th annual festival in Rochester, Minnesota. Anticipate wintertime events filled with food, music, and entertainment. Among them will be the Candlelight Ski, Baconfest, sleigh rides, and the Cool School Plunge. View their website. Jan. 25-Feb. 10 – Consider taking your family to the Saint Paul Winter Carnival this year. There will be special attractions such as a Fire & Ice art show, parades, the Ice Palace Lighting Show, and much more. The carnival takes place near Rice Park and the Landmark Center, and the Minnesota State Fairgrounds. The majority of events are FREE and open to the public. Go here for more information. Feb. 3-4 – Join the Madison community in celebrating their Winter Festival in Elver Park. Look forward to snow carving, the Ice Age Challenge, and the Frosty 5k. Read all about it. Feb. 8-11 – You’re in Luck! Check out the Winter Carnival for traditional fair festivities, an ice fishing contest, a parade, and fireworks. View their event information. Feb. 10 – The events of the Ham Lake Snowbowl include a fat tire bike race, a broomball tournament, and a snow sculpture contest. Follow clues to locate the Snowbowl Medallion and win some cash! Find out more. Feb. 10-11 – The Freeze Fest of Whitewater will benefit the Special Olympics by hosting the Polar Plunge and a chili cook-off. More details here. 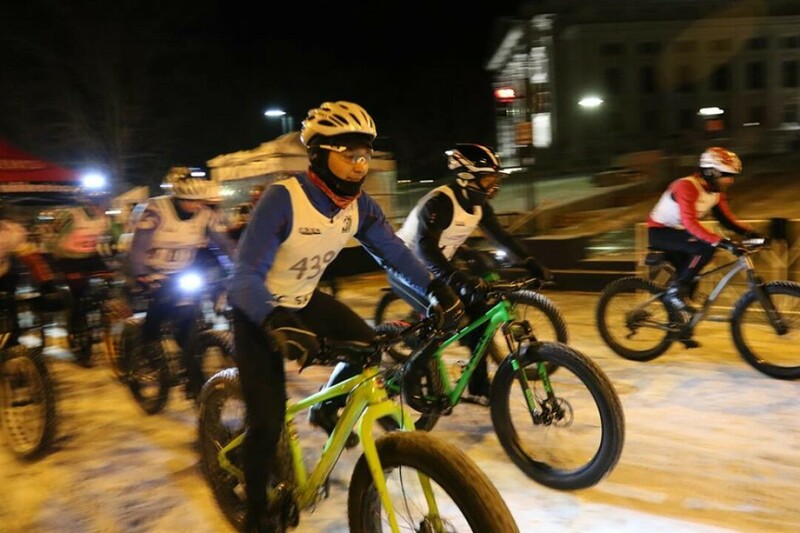 Feb. 17 – How do you race bar stools on snow? Attach them to skis! The participants decorate their own bar stools and will begin racing at 12pm. Fill up on food and drinks, then join in the raffle for a chance to win prizes. Check it out here. Feb. 23-24 – Have fun at Winter Fest in Chetek. They’ll have activities for all ages including races and sledding, and other winter-themed events throughout Friday and Saturday. Learn more about Winter Fest here. Feb. 23-24 – Did you enjoy the 1993 comedy Grumpy Old Men? If so, you may want to check out the 25th annual Grumpy Old Men Festival where the movie was set. This festival will feature a showing of the film, an ice fishing contest, live music, a spaghetti dinner, and more. Go here for more details. Feb. 23-25 – Head out to Neillsville for their Winter Carnival to see a Variety & Comedy Show, eat some pancakes, or volunteer for the Polar Plunge. To read more about this event, go here. It’s an extremely huge year for Rock Fest, one of the Valley’s craziest music festivals that celebrates that most powerful of musical genres and the culture of fans that make it great – rock. This summer’s fest – which blasts from July 12 through 14 (it's an extra spooky Friday the 13th weekend to boot) – marks 25 years of awesomeness in Cadott. And the lineup of rock excellence, which released today, is nothing to shake a flying-V guitar at. 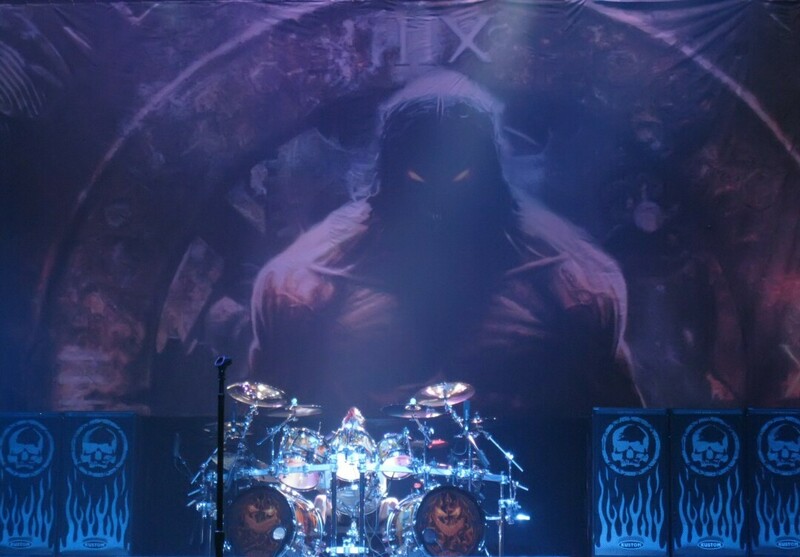 Heading up the silver anniversary is heavy-hitters Disturbed and Incubus (who are both making their Rock Fest debut) along with Godsmack, Halestorm, Rise Against, Black Label Society, and Seether, plus a ton of great bands – classic and modern alike. There’s some solo performances from some legendary classic rock acts like Dee Snider of Twisted Sister and Ace Frehley of KISS. And two of the Chippewa Valley’s own – picard and Filthy Sweet – will get to melt some faces on the Rock Fest stage as well. There’s always tons to do at the unique festival between the sideshows, tons of different vendors, dozens of tattoo artists with guns loaded, and the myriad activities all day each day. Presale three-day general admission tickets for 2018 sold out in under two hours, and keep in mind, three-day ticket holders are invited to an exclusive Bonus Bash on Wednesday, July 11 that will feature some of the biggest names coming to the festival this year. So rock fans, now is not the time to dawdle. Make sure to grab your tickets and buckle in because after 25 years of finessing their vibe, Rock Fest 2018 is ready to blow the doors off. A woman who most recently served as senior director of an arts center at Columbia University in New York City has been hired as the director of artistic programming for the Confluence Arts Center. Brenna St. George Jones, who has roots in Wisconsin and Minnesota, was announced as director of arts programming Friday after a two-month search. 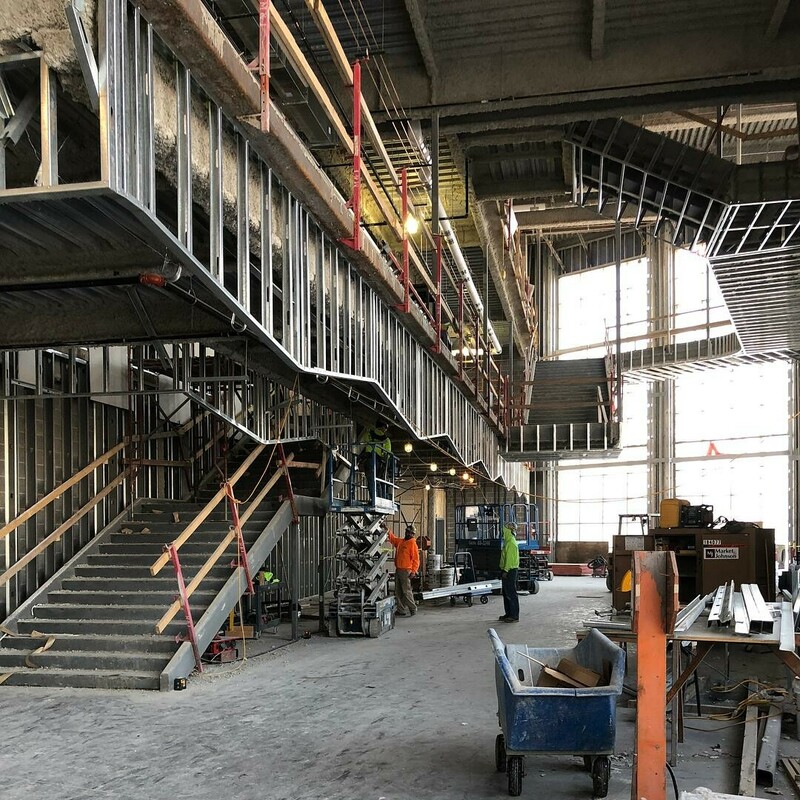 The Confluence Arts Center is under construction in downtown Eau Claire and is scheduled to open in fall 2018. St. George Jones will be tasked with creating the inaugural season for the performing arts center, which is a partnership between UW-Eau Claire and community groups and is being built with city, county, state, and philanthropic funding. (Eau Claire, WI, January 26, 2018) – After a two-month national search, the Confluence Arts Center is pleased to announce that the position of Director of Artistic Programming has been filled. Brenna St. George Jones of New York, New York will fill this vital role and create the inaugural season. She is eager to bring her experience and talents to the Chippewa Valley and the Confluence Arts Center. She has built her career on the idea that the arts have a unique power to shape the world around them. Scheduled to open in fall 2018, the Confluence Arts Center will be located in downtown Eau Claire, Wisconsin and will include a 1,200-seat theatre and a flexible 400-seat theatre, rehearsal, dance and community rooms; visual arts studio and galleries, labs for sound and lighting, set and exhibit design, recording arts, multimedia production and costume design; a scene shop equipped to support the maker space and vocational training initiatives; administrative offices for management, University of Wisconsin-Eau Claire faculty and Visit Eau Claire staff. 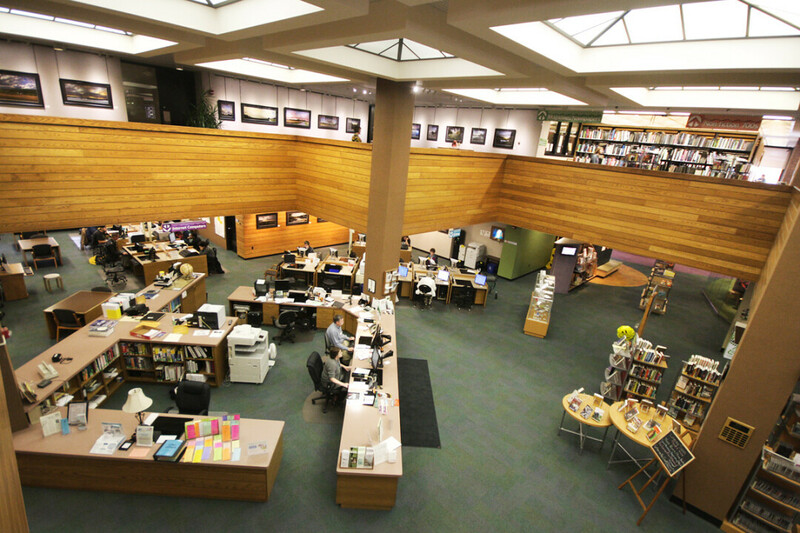 The Confluence Arts Center offers the community a facility capable of providing transformative training, learning and creative opportunities. The Confluence Arts Center will operate in support of a mission that is focused on augmenting and developing regional education opportunities in the performing and visual arts for people of all ages and backgrounds. For more information, please contact Elaine Coughlin, Marketing Coordinator at the Confluence Arts Center, at 715-492-0300 or Elaine@ConfluenceEauClaire.com. 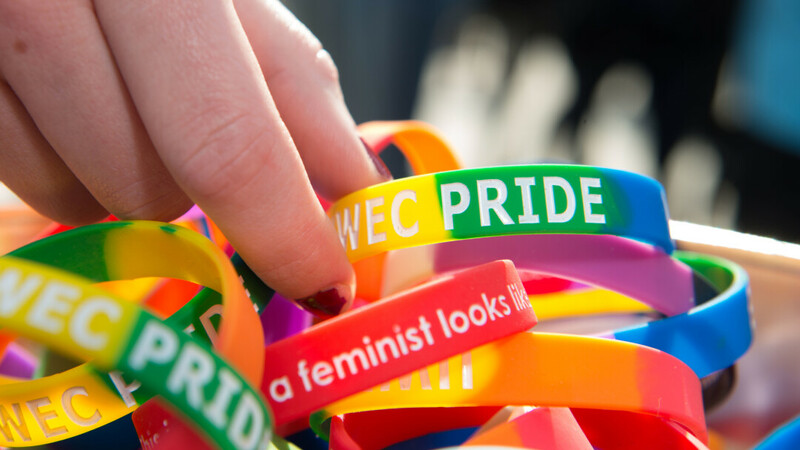 In a press release from UW-Eau Claire, we have learned that the university has received the honor of being ranked as the best college in Wisconsin in terms of LGBTQ student support. UW-Eau Claire has gained this recognition from BestColleges.com in collaboration with Campus Pride, which can be seen on their “Best Colleges for LGBTQ Students in Every State” list.